UC Irvine Health School of Medicine offers a three-year ACGME-accredited Child Neurology Residency Program. 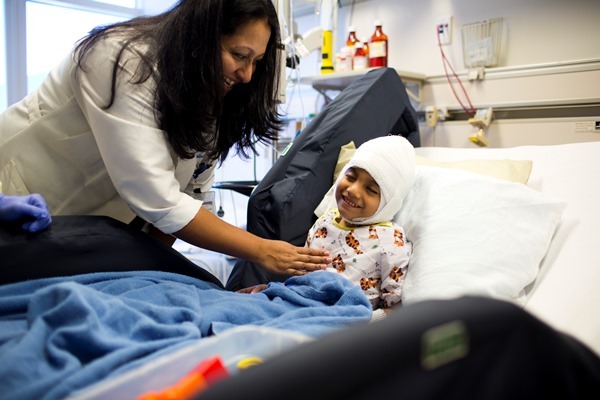 The Categorical Track is a five-year program that includes two years in the UC Irvine-CHOC Children’s Pediatric Residency Program, followed by a three-year residency in child neurology. Applications for the categorical track must submitted to the Child Neurology Residency Program and the UCI-CHOC Pediatric Residency categorical program. Candidates invited for interviews meet with representatives of the Pediatric Residency Program and the Child Neurology Program on separate days. There are two categorical-track positions available beginning July 1. The Child Neurology Residency Program participates in the National Resident Matching Program (NRMP). Applications are accepted only through NRMP’s Electronic Residency Application Service, also called ERAS®. Applications must be submitted to the UCI-CHOC Pediatric Residency Program and the UCI Child Neurology Residency Program. A dean’s letter (MSPE) from your medical school. Three letters of recommendation. We prefer one letter from a neurology faculty member who worked closely with you as well as two letters from a faculty member of your choosing. USMLE Step II CK and CS scores is required to begin any of our residency training programs – score reports are highly recommended prior to rank list due date. We also prefer those who passed their USMLE examinations on the first attempt. The deadline to submit ERAS applications for the Child Neurology Residency Program is Dec. 1. However, we recommend applying by early October. Once your completed application is submitted, it will be forwarded for review by the selection committee. Selected applicants will be contacted to arrange interviews. Learn more about the categorical pediatric residency program and UC Irvine salary and benefits here. Monday morning report — 8-9 a.m.
Tuesday evening journal club — 6-7 p.m.
Thursday morning lecture — 8-9 a.m.
Friday grand rounds — 8-9 a.m.
Monday morning sign out rounds — 8-9 a.m.
Tuesday afternoon professor rounds — 2-3 p.m.
Thursday case conference — 12-1 p.m.